The Old Norse language of the Viking Age is the source of many English words and the parent of the modern Scandinavian languages Icelandic, Faroese, Danish, Swedish, and Norwegian. Vikings sailed over one-third the globe and were the first northern Europeans to harness the technology of long-distance seafaring. Wherever they went, Vikings brought their myths, legends, and sagas. These Old Norse tales are the basis of Tolkein’s Lord of the Rings, Wagner’s Ring Cycle, and a host of contemporary fantasy writing and gaming. Even The Long Winter from the Game of Thrones is based on the Old Norse Prose Edda. 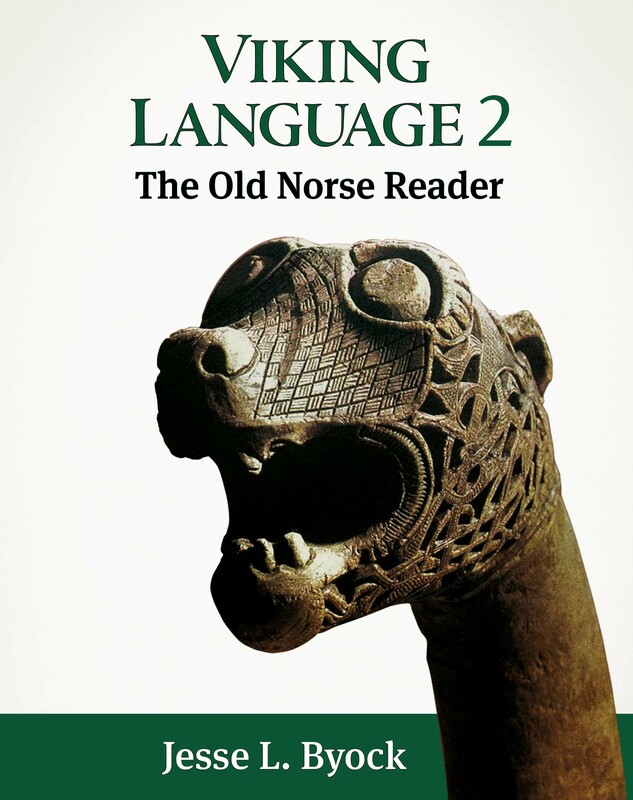 Medieval Scandinavians called their Old Norse language the ‘Danish tongue,’ dǫnsk tunga. No one is quite sure why this was so. Perhaps it was because Denmark was the first of the Scandinavian lands to become a powerful, centralized kingdom, and the speech of the influential Danish court became for a time the accepted standard. It may also have been because the Danes were closest to the Frankish Empire and the rest of Europe. Several questions concerning Old Norse arise. One is: How close was Old Norse to Old English? The answer is that Old Norse was related to, but different from, the language spoken in Anglo-Saxon England. With a little practice, however, Old Norse and Old English speakers could understand each other, a factor that significantly broadened the cultural contacts of Viking Age Scandinavians. The two languages derived from a similar Germanic source, which had diverged long before the start of the Viking Age (see the accompanying Indo-European language tree). Another question is: Does learning Old Norse/Old Icelandic help in learning Modern Icelandic? The answer is that the two languages are quite similar. The Old Norse of the medieval Icelanders, especially what is found in the sagas, remains the basis of Modern Icelandic. 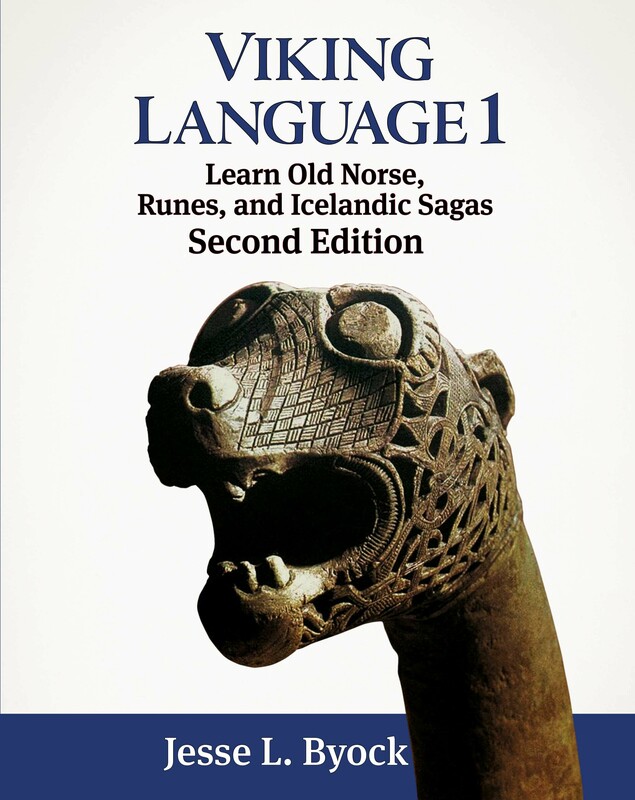 Most of the grammar and vocabulary taught in this book are still current in Modern Icelandic. As a distinct language, Old Norse has a traceable history. It is the most northerly and most westerly medieval member of the large Indo-European family of languages. The Indo-European language family tree offers an overview of the placement of Proto Old Norse (the ancestor of Old Norse) in the Germanic branch of Indo-European. Old Norse shares a close relationship with early Germanic languages such as Old English, Gothic, and Old High German, while the relationship with other Indo-European languages, such as Latin, Greek, and Sanskrit, is more distant. At the start of the Viking Age, there were two closely related varieties of Old Norse. East Old Norse was spoken in Denmark, Sweden, and the Norse Baltic region. West Old Norse was spoken in Norway and the Atlantic Islands, including the Hebrides, Orkney, Shetland, the Faroes, Iceland, and Greenland. Toward the end of the Viking period, around the year 1000, with accumulation of small changes, Old West Norse began to split into Old Icelandic and Old Norwegian. Icelandic and Norwegian share an especially close kinship, since Iceland was settled largely by Old Norse speakers from mainland Norway and from the Norwegian Viking Age colonies in the British Isles. Today, we call the language of the sagas and the other written Icelandic sources Old Norse (ON) or more precisely Old Icelandic (OI). Old Icelandic is a branch of the Old West Norse that developed in Iceland and Norway from the Old Norse speech of the first Viking Age settlers. By the twelfth century, differences between Old Icelandic and Old Norwegian were noticeable but still minor, resembling to some extent present-day distinctions between American and British English. At roughly the same time, East Old Norse diverged into Old Swedish and Old Danish. Still, the four languages remained similar and mutually intelligible until about AD 1500, and all the Old Norse sources, from either the Atlantic or the Baltic regions, are accessible with training in Old Norse. Is Icelandic the oldest language in Europe? Icelandic is a West Nordic language. In Viking times (from about 800 to 1050 AD) the Norse language was recognised, that is to say, a language spoken by the Germanic nations in Scandinavia in both West Norse and East Norse. West Norse was spoken in Norway and east Norse in Sweden and Denmark. Iceland was colonised mostly from Norway, with most settlers coming from the southwest part of the country, from Hordaland, Sogn and the Fjords. But some also came from the British Isles, both of Celtic and Nordic origin. But the Celts did not have a significant effect on the development of the Icelandic language. Evidence of Celtic (Gaelic) culture is limited to loan words and to people and place names.